CUSTOM RENTALS: Starts at the listed price and varies based on size of the piece and detail of the artwork. 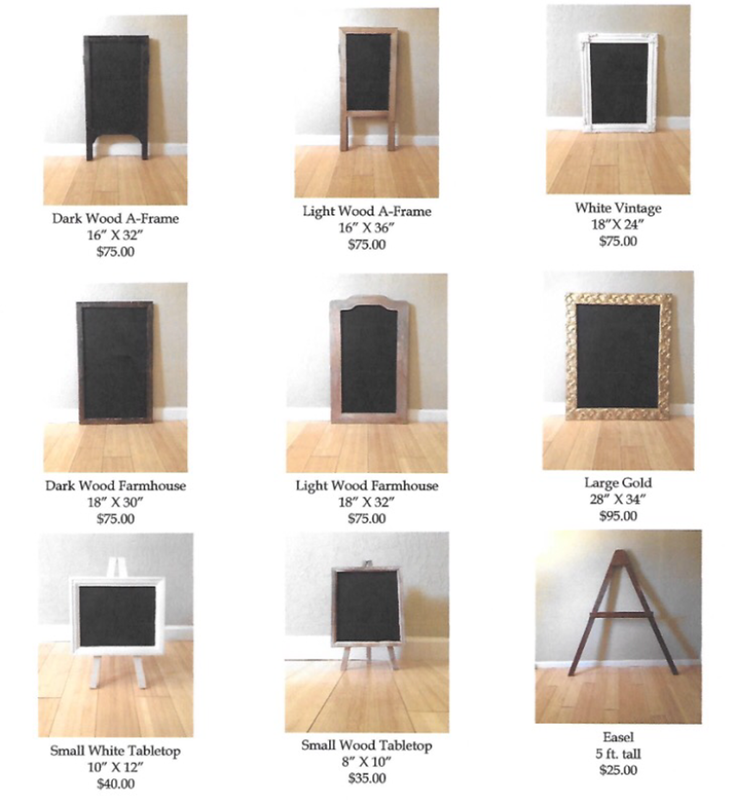 CUSTOM PURCHASE: Pricing includes the cost of the board plus detail of artwork. CUSTOMIZE YOUR BOARD: If you have your own sign you would like to customize, email swooncc@gmail.com for pricing information. *Additional shipping or delivery fees when necessary.